Your future architects and engineers may enjoy building tall towers with traditional building blocks, but imagine the designs they could create if they had even more tools at their disposal. While some non-traditional building sets use common building materials such as wood and plastic, they incorporate unique shapes and designs to allow kids to experience more creativity. Others add magnets and electricity to encourage children to make over-the-top designs. Building toys with magnets built in allow kids to create structures with unique shapes and an added sturdiness from the magnets. Not only will kids create structures, they'll also learn about the properties of magnets and experience the force of magnetism firsthand. 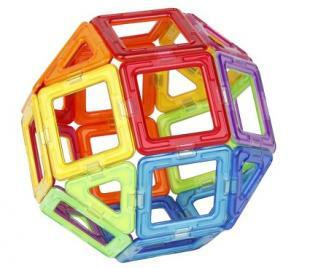 Magformers, which won the Astra Best Toy for Kids award in 2009 and 2010, feature a variety of geometric shapes including triangles, pentagons, and squares so kids can create uniquely shaped boxes and other fun designs. Designed with the motto "always connect, never reject," kids from preschoolers on up won't have any trouble connecting the magnets. 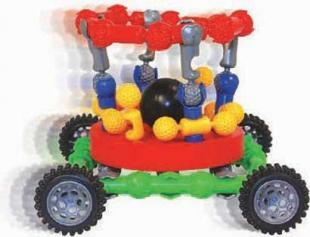 Special kits come with wheels and specially designed pieces to allow kids to make movable cars and other cool designs. Magna-Tiles add magnets to brightly colored geometric shapes. Designed for ages three and up, kids can attach the various shapes on their sides to create boxes, houses, and other geometric structures. The Magna-Tiles come in clear colors and solid colors, although kids may prefer the clear ones particularly when used on top of a lighted table in a dark room. These fun magnet toys earned the Parents' Choice Award in 1998. 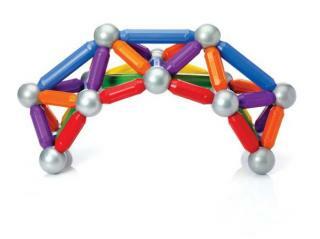 SmartMax offers multiple magnetic building collections for kids ages two through ten. Rather than using tiles like many other magnetic building sets, these collections focus on using magnetic sticks and balls. For younger kids, parents can opt for larger magnetic sticks, while older kids will appreciate the smaller magnets. The colors of the pieces have also been designed to teach kids about magnets, with warm colors attaching to cold colors to mimic the north and south magnetic poles, and larger magnetic bars being stronger than smaller magnetic bars. The basic set was one of Dr. Toy's top picks in 2011. Plastic building toys may use a more traditional building material, but they don't necessarily inspire traditional designs. The unique shapes and connectors included in these sets help kids develop their motor skills and encourage them to use their imaginations to put them together in highly creative ways. Zoob, winner of Dr. Toy's Best Toy Award in 1997 and named one of Family Life's Best Learning Toys, allows kids to create designs they can actually move. The five different designs included in the basic Zoob set can be arranged in 20 different ways, making it easy for kids to create many different objects. Suggested for kids ages six and up, when closely supervised even preschoolers will enjoy making vehicles, animals, and other moveable designs with these plastic toys. Playstix feature colorful plastic sticks with grooves designed to interlock with other pieces. The sticks, which won a Parents' Choice Recommended Award, come in different lengths to allow kids to create a variety of designs. An idea booklet shows how to create popular items, but kids aren't limited to those creations. For even more creative designs, children can add a special building base or wheels to their Playstix collections. These building toys combine unique materials, designs, and purposes to help children engineer amazing structures and designs. Kids don't just stack them or attach them to one another, they must put more thought into the overall design and think about how the individual pieces work. Squigz have won multiple toy awards, including the Astra Best Toy for Kids Award in 2013, the Oppenheim Toy Portfolio Gold Award, and the Major Fun Award, also in 2013. The colorful little suckers allow kids to build with the power of suction cups. Each piece contains a ball with two or more suction cups attached. Kids three and up can press the suction cups together to create new structures or take structures apart and listen as the toys make a satisfying "pop." 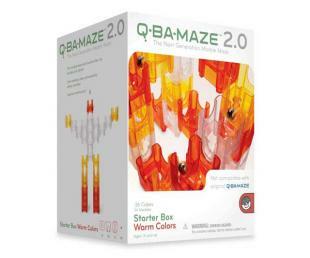 Q-Ba-Maze may not look incredibly unique at first. After all, kids just stack plastic pieces to make creative designs. However, the cool part about Q-Ba-Maze is that each of those designs doubles as a marble run. While kids design fish, rocket ships, and other cool structures, they must also think about how a marble will travel through the structure, adding an extra element of difficulty and creativity. The building toy, designed for ages 6 and up, has won many awards, including the Tillywig 2013 Top Fun Award and Astra's Best Toy for Constructive Play award. Gears! Gears! Gears!, recipient of the National Parenting Center's Seal of Approval, has kids build with a selection of colorful plastic gears. Designed for ages three through ten, children must consider how gears connect and work together to create their structures. Younger kids will simply have fun connecting the gears and watching them rotate, while older kids can connect the gears as they build cars and other moveable contraptions. Special sets allow children to add lights and other action features to their structures. 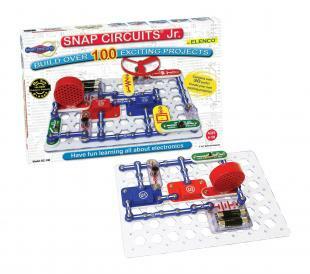 Snap Circuits combine the fun of building with the power of electricity to help kids make truly impressive creations. These unique toys, which won the 2012 Astra Best Toys for Kids award, come as base model sets and specific sets, allowing kids to complete hundreds of different experiments or build specific objects such as a motion detector or flying saucer. All products have been designed for kids ages eight and up. Linkazoo will delight both preschoolers and older kids. Younger kids will appreciate the cute animal-shaped pieces, while older kids will enjoy the challenge of trying to connect those animals with the trees, grass, and leaves to create their own interesting jungle scenes, both realistic and imaginary. This toy is for ages three and up. There's nothing wrong with playing with traditional blocks or other standard building toys, but with these sets parents can encourage kids to be even more creative. Giving kids a variety of building toys helps them see traditional building tasks differently and determine which toys will work best to get the job done. It also helps expand their knowledge of geometry and engineering. Perhaps today's creative play will spark the world-class designs of a future architect or world-class engineer.